Summer experience, PPA pix, sedge growing tips, and more! This summer we had two wonderful interns. Phyllis Daugherty is a student at Alamance Community College in Burlington, NC. After a successful career a t UNC-Chapel Hill doing staff development and training, she is now pursuing a career in horticulture. Trevor Stark is a student at NC State University in Raleigh. He worked at the nursery last summer and joined us again for the internship. The interns learned about every department and spent time working in a range of jobs. They took field trips, attended a green industry conference, and put together a presentation about their experience. We were thrillled to have them and look forward to following their careers! Investing in the future of horticulture is an important part of our mission. To learn more about our internship program, go to our Careers page. 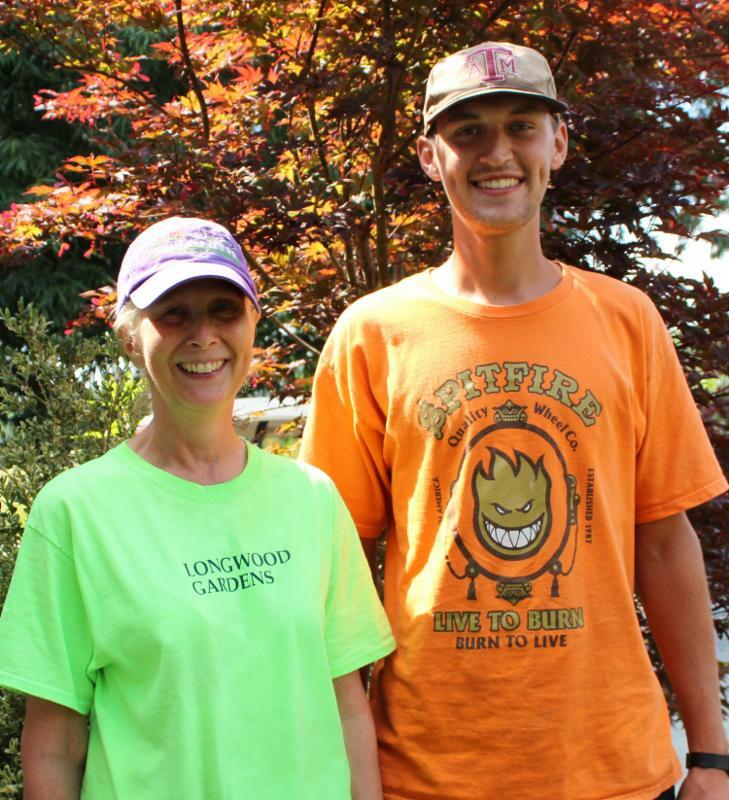 Phyllis Daugherty and Trevor Stark learned about nursery management as our 2017 summer interns. This year's Perennial Plant Symposium in Denver, Colorado gave us a fresh perspective. The temperature extremes and dry conditions in this steppe and mountainous region seem limiting, but the plant palette we saw was anything but limited. Beautiful rock and crevice gardens, lush plantings, and a host of grasses welcomed us. Many species that struggle with our Southeastern humidity were thriving in the low humidity of Colorado. Helictotrichon sempervirens 'Sapphire' and Arrhenatherum elatius subsp. bulbosum 'Variegatum' were full of color and gorgeous blooms. Fescue were also doing quite well and thrived in the well-drained gardens we toured. Enjoy a little piece of the experience in our PPA2017 photo album . Our Sedges Make Sense series continues with five tips for Carex container production. 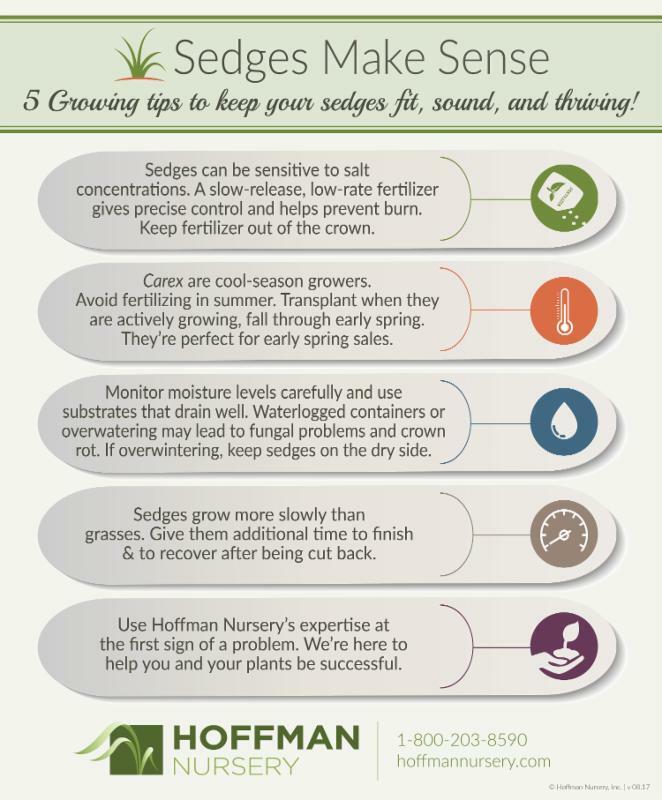 There’s a sedge to suit almost any garden situation, so growers have plenty of choices for their growing programs. In container production, Carex need a different regimen than grasses because they tend to be more sensitive to certain conditions. Our tip sheet will help you manage Carex and keep your sedges fit, sound, and thriving. Download the PDF version or see these tips on page 33 of our 2017-2018 catalog. Since 2015, Seattle, Washington has managed over 100 million gallons of stormwater annually. They're aiming to handle 400 million gallons by 2020, and an ambitious 700 million by 2025. City officials are banking on green infrastructure (GI) to manage that stormwater and create better quality urban landscapes. Two initiatives have been key to meeting their goals. The Seattle Green Factor is a landscape requirement for new developments. The goal is to manage stormwater and offer landscape amenities for communities. The program, which uses a "green factor score," creates higher standards for landscapes and lets developers choose a range of strategies to meet the requirements. Green roofs, green walls, enhanced plantings, and tree canopy all increase the green factor. That means more plants, and that's good news for the broader green industry. The Rainwise Program focuses on residential areas, encouraging property owners to manage stormwater on site. There are incentives for installing rain gardens and cisterns, and they've streamlined the application system. The program has contributed to the development of 3,184 rain gardens in Puget Sound. For more on Seattle's GI initiatives, read the article in the Living Architecture Monitor. Homeowners can use green infrastructure approaches like bioswales, rain gardens, and other measure to manage water more sustainably. 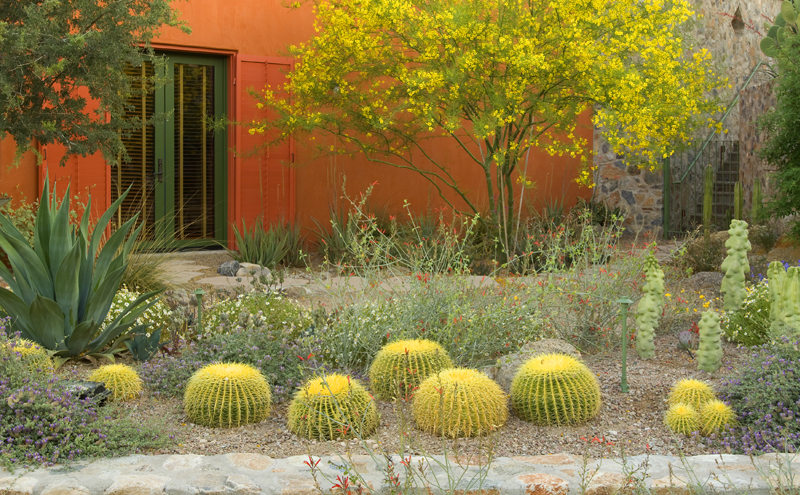 The American Society of Landscape Architects has a helpful online resource guide to get things going. 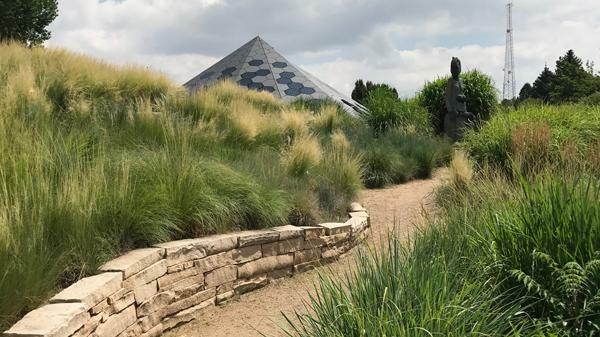 World-renowned Dutch designer Piet Oudolf has been commissioned to create a two-acre meadow at the new Delaware Botanic Gardens at Pepper Creek. 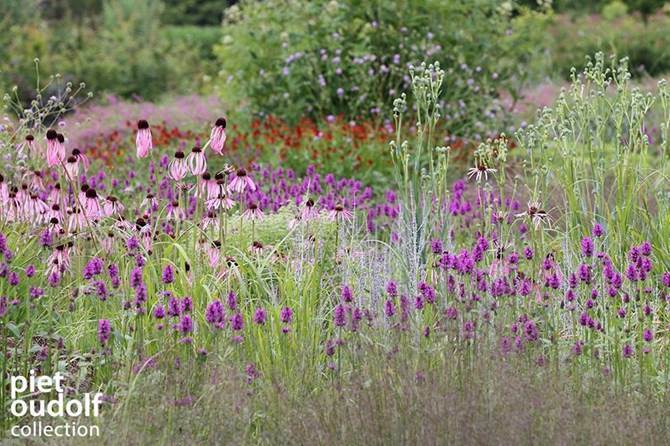 During the first week of September, Oudolf will guide planting of the initial part of the meadow. He will remain at the gardens for a lecture and reception at the end of the week. The lecture and reception are sold out, but a wait list is available. Get more info on the gardens events page. This is the first international conference of its kind. 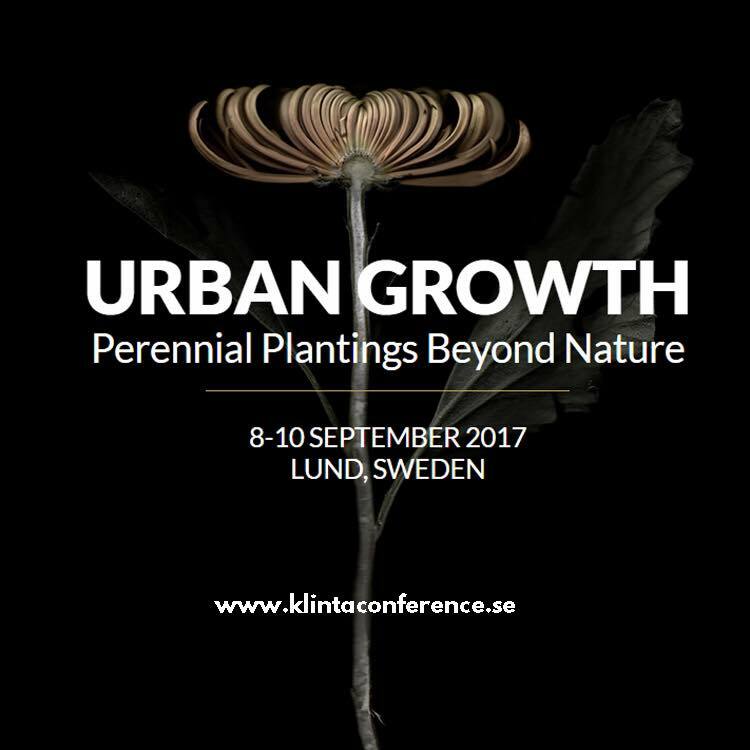 It will gather international experts at the forefront of their fields to talk about perennials and their role in sustainable urban landscapes. In addition, the conference aims to provide a forum for the participants to build professional networks. This conference is a continuation of AmericanHort's GrowPro Series. It focuses on the latest inventions and innovations in production technology. The conference includes a trade show and educational sessions. Hoffman Nursery's Nursery Manager Scott Epps and Project Manager David Hoffman will be giving a talk called, " Find Solutions at Every Step" on Tuesday, Oct. 10 from 3pm to 4pm. They'll address how the nursery continues to grow in the face of a labor shortage by incorporating automation and building more efficient processes. 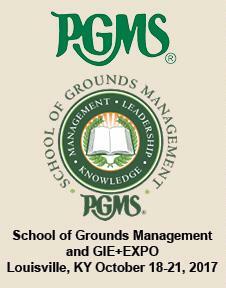 The Professional Grounds Management Society (PGMS) hosts the School of Grounds Management at this huge event for the landscape industry. Educational sessions and tours combine with the GIE + EXPO trade show and concert series. Hoffman Nursery's Shannon Currey will talk with attendees about grasses and sedges for every layer in the landscape. Catch her talk, " Grasses and Sedges from the Ground Cover Up" on Thursday, Oct. 18 from 3pm to 4:15pm. If it's about making more plants, this is the place. The Southern Region of the International Plant Propagators' Society holds their annual conference this year in Dallas. With days filled with talks on research results, techniques, and trials, it's a wealth of information. There are also tours to share knowledge and get to know colleagues. Hoffman Nursery's Research & Development Horticulturist Leanne Kenealy will be speaking on her experience as last year's international delegate. She soaked up knowledge, met new friends, and had an amazing time. See Leanne on Monday, Oct. 30 at 11:20am. You can always see what's up next on our events page.